Been following her online with the Marine Traffic tracker. Click on the “last position” link and you can find out where she is. Glad to see her safe & sound after the trip down from Oban. The tracker shows up all the fast ferries and tankers and things as well – the overnight sails must have been like walking along Blackpool pier. 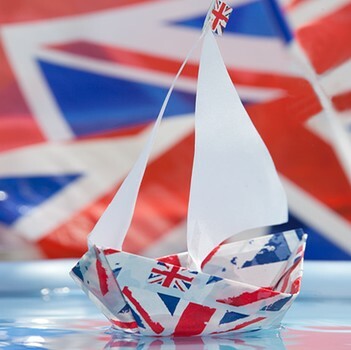 When we first found Treize for sale on the Tamar I found this mug when I rummaged through the cupboards. It felt like we were in the right place some how. We brought them home last week when we went down to see her in St Just. 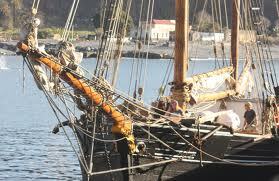 Julian, Hugh and Joe have been doing a grand job with her. All being well she will be in the water next year and perhaps we should celebrate with a brew up in these mugs. Don’t know which owner bought them but they’ll do fine for us. Ping Pong – coming soon to a cinema near you! 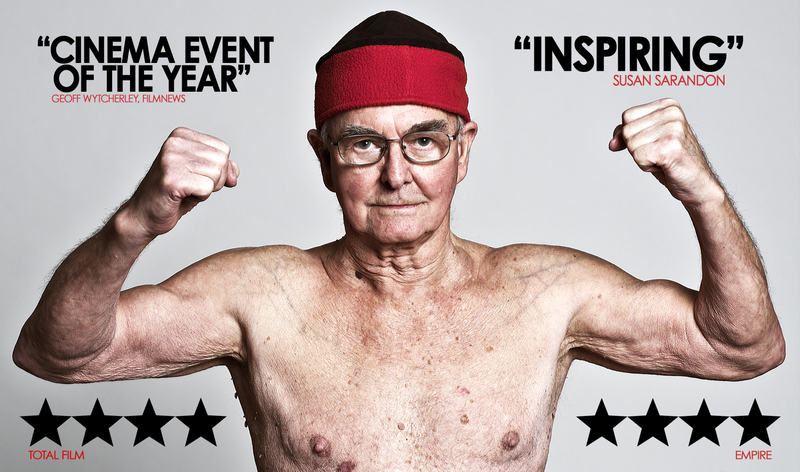 Have a look at the trailer – it will make you smile, I promise. An interesting life is never simple …! 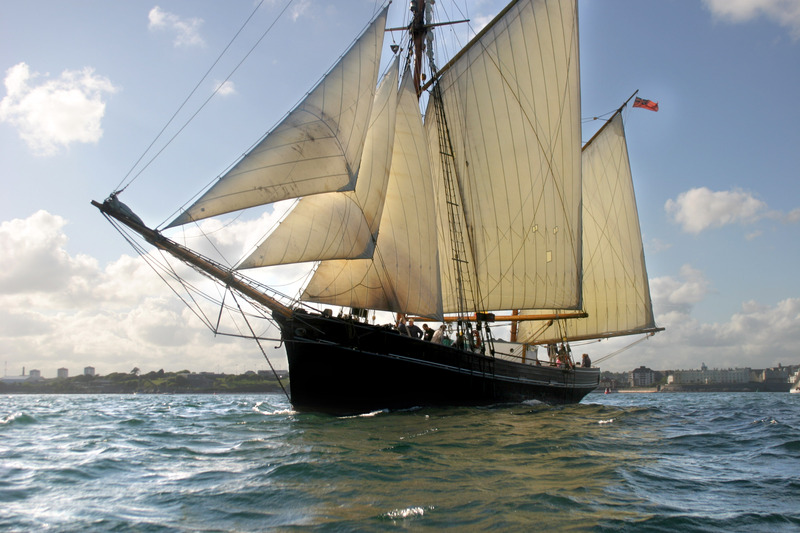 Jammie or what, Owen has a chance to sail to France on this amazing boat. Just finalising details but what a great trip. 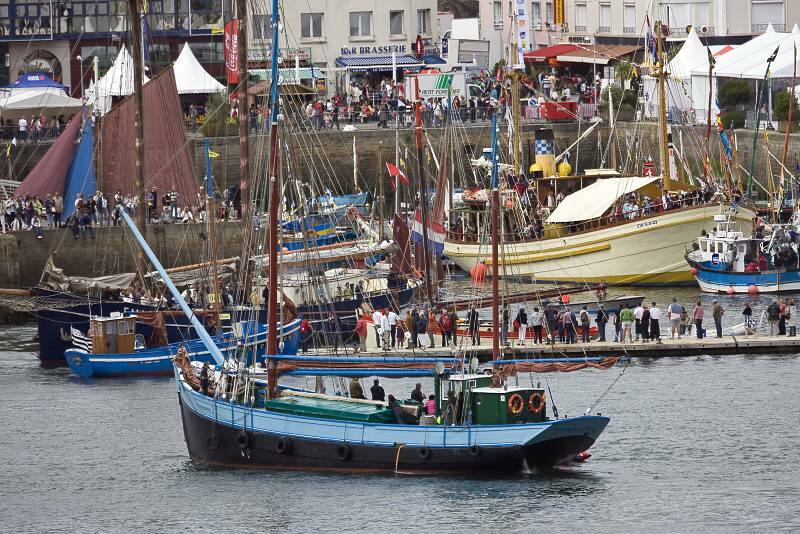 Oban to Falmouth then over to Les Tonnerres du Brest (Maritime Festival) with an amazing collection of traditional boats. Then he has to work his way over to Lisbon to meet Ocean Spirit. Hence the “life is never simple” blog title…. Thanks for the prize, guys, it arrived safely in the post and Jamie is exploring ways to spend it! it has some interesting work on it. 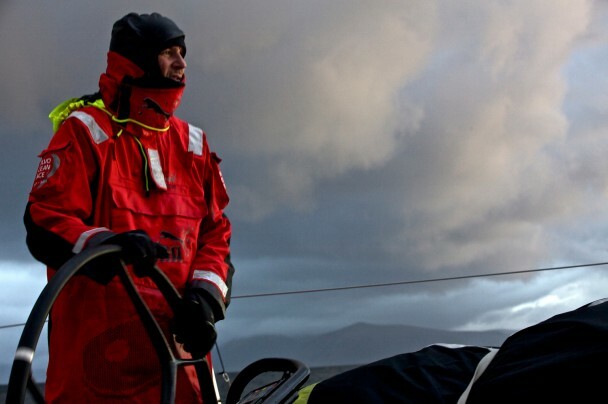 Highs and lows of the Volvo Ocean Race passing Cape Horn, celebrations for some and decisions to be made for others.